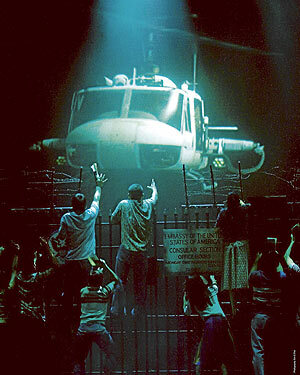 I caught this documentary a few months ago about the making of Miss Saigon twenty years ago. It’s a fascinating insight into how a show on this scale is made and an embarrassing glimpse at the fashions of the 1980’s – curly perms and legwarmers abound! By Claude-Michel Schönberg and Alain Boublil, with lyrics by Boublil and Richard Maltby, Jr. It is based on Giacomo Puccini’s opera Madame Butterfly, and similarly tells the tragic tale of a doomed romance involving an Asian woman abandoned by her American lover. 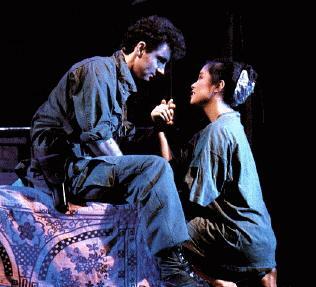 The setting of the plot is relocated to the 1970s Saigon during the Vietnam War, and Madame Butterfly’s American Lieutenant and Japanese geisha coupling is replaced by a romance between an American GI and a Vietnamese bar girl. 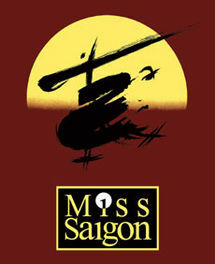 The musical premiered at the Theatre Royal, Drury Lane, in London on 20 September 1989, closing after over four thousand performances, on 30 October 1999 (putting it in the top 10 longest running West End musicals). 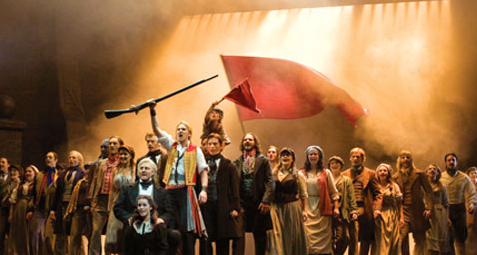 The musical represented Schönberg and Boublil’s second major success, following Les Misérables which is mentioned in the passing here – little do they know that Les Mis would reach 26 years in the West End and going stronger than ever. 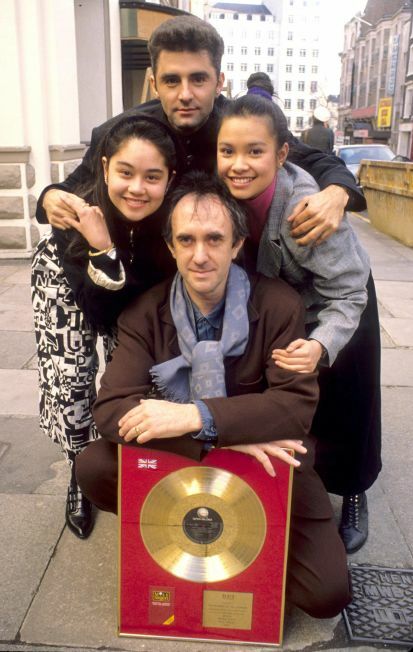 The original production starred a very young Simon Bowman, (pictured above with Lea Salonga) and Jonathan Pryce, Peter Polycarpou, Monique Wilson and Claire Moore. 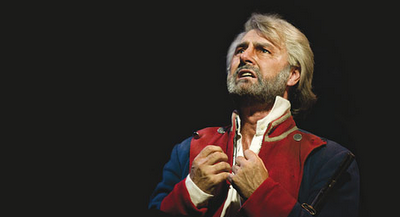 Twenty years on Bowman is still starring in the West End – last seen as a magnificent Jean Valjean in Les Mis. The most uncomfortable thing about the whole thing was the casting of the very Anglo-Saxon Jonathan Pryce as The Engineer (seen below), a character who is clearly Eurasian. The fact that at the time the taping down of his eyes is of no consequence, really jars today. It shows just how much things have changed. Incidentally he’s not the only English actor with taped up eyes!!! It’s an interesting watch, if, for nothing else, to see how badly the actors are treated! Les Misérables is the musical adaptation of Victor Hugo’s great humanitarian novel of one man’s determined survival in the face of another’s vengeful persecution. 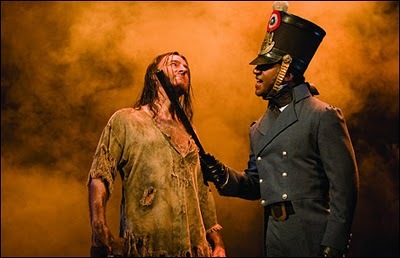 Set amid the social and political struggles of 19th century France, Les Misérables tells the story of former prisoner Jean Valjean, who is pursued for decades by his policeman nemesis, Javert. The dramatic score includes numbers such as On My Own, One More Day, Bring Him Home and Do You Hear The People Sing? 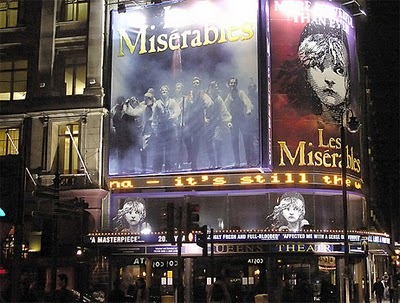 Les Misérables is currently celebrating its 26th year in London, making it the world’s longest-running musical. The show first opened at the Barbican in 1985 before transferring to the Palace later that year, where it remained for nearly 20 years. It opened in its present home, The Queen’s, in 2004. The show is now one of the world’s best-loved musicals and has been produced in 38 countries and translated into 21 different languages. Gates, Barks and Jones are all veterans of various reality TV shows – Barks in ‘I’d do Anything’ – the search for a ‘Nancy’ in Oliver, where she came third, Jones in 2009’s X-Factor, where she lasted until week 5 where she was ousted by ‘Jedward’ and Gates from the original Pop Idol in 2002, where he was runner up to Will Young. 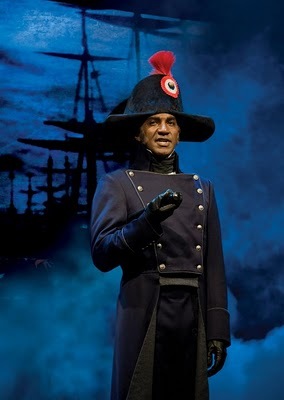 Simon Bowman, by contrast is a seasoned West End leading man and his talent, magnetism and professionalism as Jean Valjean shone through and Broadway veteran Norm Lewis was a strong Javert. 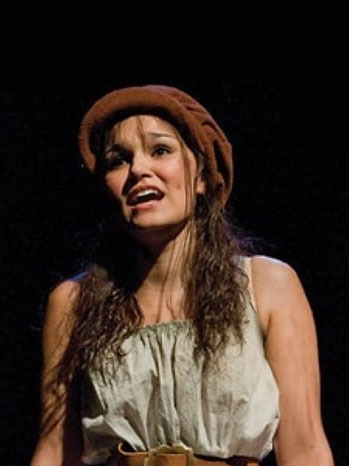 Gareth Gates on the other hand suffered because of the strength of the rest of the cast as did Rebecca Seale, who had to deliver one of the shows most iconic tunes I Dreamed a Dream both suffered from somewhat thin voices. 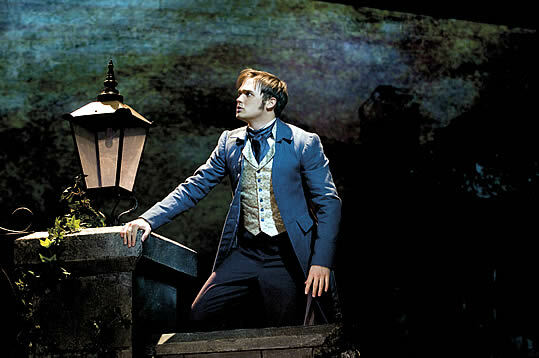 Les Mis is one show that lives up to all the hype thrown at it. This is as wonderful as everyone says it is, there is a reason it’s been running for 26 years, If you haven’t seen it I urge you to go. It’ll restore your faith in human kind!